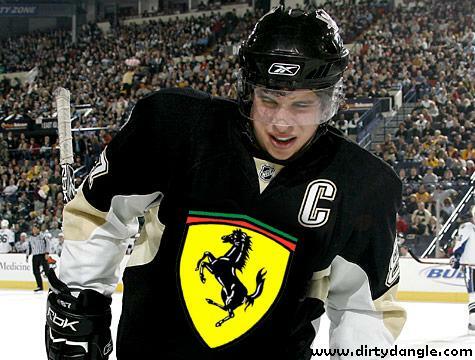 Sid The Ferrari is feeling better, but it's not enough. His recent press conference in which he let it be known he would not be returning until he is a 100% really shakes up the Fantasy Hockey World. Easily a top pick in every draft, where does Sid go now? Taking Crosby is a big risk when we know so little about his return date, but you do have options has a fantasy GM. Sid will probably slip out of the first round, and while losing a guaranteed top player for a concussed superstar may seem like a loss consider that if Sid comes back and manages to play 60 games or even half the season he will still have more points that some 3rd or 4th round picks. Sid should start on the IR so you'll be able to open up a roster spot for one of your sleeper picks to take off. Last season I had Crosby on one of my competitive teams and the worst thing was not knowing when he'd come back as there was only one IR spot available and my team was beginning to look like a hospital ward. If you have the room and can wait the injury out - go for it, otherwise I'd pass on Sid. Yahoo! has Crosby ranked 75th pre-draft, so if people are drafting by the rankings (like most do), he could be going 5th or 6th round in a 12 team league. But, there's a good chance someone makes your Sidney Crosby draft decision for you as if you have any Super Fan 87's in your pool they'll take him as soon as they can. Almost everyone will chastise this poolie for their poor draft decisions... until Crosby puts up 90 points in 60 games. The good news is Crosby expects to play some time this season. Hopefully questions about Sid's health become answers before his injury impacts your fantasy team for the worse. I'll pass on him for sure. Even if he was starting this season I would let him slip out of Top 5... never trust guys that have concussion problems. I can see Sid going back the last 20 games and just gearing up for the Playoffs. I will be staying away from him also. Not worth it when you can still get a solid player in the top couple of rounds. I don't think Crosby cares how Ovechkin and Stamkos are doing offensively. I think he'd rather let them do it for the season and he comes back for the home stretch. He'd rather play again then risk his career (and/or life) to win the Art Ross Trophy. I did a mock draft last night on Yahoo in a 12 team league. Crosby went in the middle of the 4th round. I was planning on snagging him with my late 5th rounder. I'm passing on Sid. I never draft or even think of guys that are this big of a question mark. How can you draft a guy that early without knowing when he'll be playing? It's ridiculous.